In 1995, I started my career with BioTek. I had just graduated with a degree in a Clinical Laboratory Science and was hired as a Service Engineer in BioTek's Technical Assistance Center. The job's primary focus was helping customers program, utilize and maintain their microplate readers and washers. Since I was trained as a Medical Technologist, I had a fair amount of experience with ELISA instrumentation. I had actually used a BioTek EL312 plate reader in my clinical rotations. I recall being very impressed by the automation and speed the reader gave us with its ability to process several samples at a time, compared to my experience with a manual cuvette spectrophotometer. 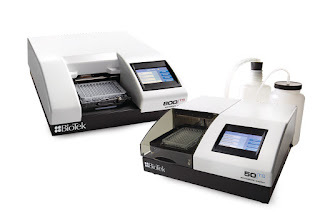 The year I started working at BioTek, we launched the ELx800 Microplate Absorbance Reader and shortly thereafter, the ELx50 Automated Strip Washer. This pair of workhorses had been entirely re-imagined from predecessors like my EL312 back in school. With sleek hardware profiles, powerful data reduction and easy to use interfaces, these products were cutting-edge. 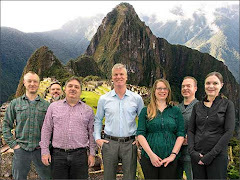 As the years went by and I transitioned to Product Management, I always found the variety and increasing number of assays customers ran on the instruments fascinating – from human and veterinary diagnostics to food safety testing and all areas of research. Now more than 20 years later and nearly 50,000 installations around the world, BioTek has once again unveiled a next generation. The new 800 TS Absorbance Reader and 50 TS Washer have been redesigned for today’s busy labs and individualized workflows, complete with color touch screens and USB flash drives for convenient data export. Just like the ELx800 and ELx50, the new instruments offer high reliability, excellent performance and ease-of-use – all at an affordable price! After almost 50 years, BioTek products are still manufactured in Vermont, USA to the highest standards. I was lucky to have found this employer many years ago and am proud of the high quality products we continue to produce. To celebrate the 800 TS and 50 TS launch, BioTek has just announced a giveaway contest for our thousands of loyal customers around the world. Do you have an ELx800 or ELx50 in your lab? If so, we want to thank you for making us the most trusted name in plate readers and washers. We would love to hear about how you use these instruments and how long they have been on your bench. All you need to do is visit www.biotek.com/contest and tell us your story by October 31, 2017. You could win a brand new 800 TS and 50 TS for your lab!